By the late 1980s, international efforts in combating money laundering and terrorist financing had been significantly increased. The United Nations Conventions Against Illicit Traffic in Narcotic Drugs and Psychotropic Substances (‘UN Convention’) came into force in 1988. It set out to combat the economic power of criminal organisations and individuals by depriving them of their illegitimate wealth, whilst simultaneously rooting out illegal enterprises and countering the adverse effects of the illegal economy on the wider one. The scope of the underlying criminal activity that gives rise to proceeds that are subject of money laundering was expanded by subsequent international legal instruments to include other additional serious offences. The UN Convention led to the establishment in 1989 of the Financial Action Task Force (‘FATF’), an intergovernmental organisation that acts as a global watchdog for money laundering defences, and that conceives of and promotes policies and standards to combat financial crimes. The mandate of the FATF was subsequently expanded to cover the fight against terrorist financing by issuing Counter Terrorist Financing (‘CTF’) policy recommendations. Notwithstanding the distinction between money laundering and terrorist financing with regard to the source of the funds involved, the techniques of laundering the proceeds for both are similar. In response to the international drive for combative measures, the Egyptian Government enacted Law No. 80 of 2002 on Combating Money Laundering (‘CML Law’). A number of subsequent executive regulations designed to disrupt money laundering and terrorist financing activities were subsequently passed to fortify the provisions of the CML Law. acquiring, holding, disposing of, managing, keeping, exchanging, depositing, guaranteeing, investing the proceeds, or tampering with their value, or concealing or disguising the true nature of these proceeds, their source, location, disposal, movement or ownership or rights associated therewith. In practice, this requires the accused to have knowledge that the funds in question were the proceeds of a specific criminal offence included within Article 2 of the CML law. This highlights a common challenge with money laundering legislation, where the strength of defensive measures can provoke tension with a country’s commitment to the presumption of innocence and rule of law. the accused’s knowledge of criminal activity is an element of the offence of money laundering. Therefore, it would be impossible for a Prosecutor to show that the accused knew the origin of the funds without being able to fully assert that the predicate offence had been committed. Whilst money laundering as an offence is independent of the predicate crime, in this context independence relates to its prosecution and not elements of the offence. The Prosecution’s duty to prove that the funds in question are illegitimate, must be proven by evidence and not presumed. Therefore, whilst the offence can be investigated and charged, no conviction can be sustained without first establishing the predicate offence. The principle was clearly emphasised by the Cassation Court in case no. 12808 for the Judicial Year 82, (corresponding to 2012). The Prosecution argued that being an independent offence, only required them to adduce evidence supporting the allegation that the funds were derived from an offence within the definition of a predicate offence set out in Article 2, therefore the Court of First Instance was entitled to convict without proof of guilt of an underlying offence. ‘A rogue standard that runs contrary to the principles of criminal jurisprudence, and leads to unacceptable and inconsistent judgments’. Although there is an apparent variance in the manner in which the Egyptian judiciary has applied approaches on whether a conviction for the predicate offence is required, a closer look at the cases shows that the variance is not as apparent. Court of Cassation decision no. 8948 of 79, for example, found that the money laundering offence is committed whenever its elements are satisfied, regardless of the underlying predicate offence, which is apparently in stark contrast to the reasoning outlined above in case no. 12808 of 82. A more thorough analysis of the judgment however, indicates that the Court of Cassation was not addressing the same issues in both cases. The Cassation Court in decision no. 8948 of 79 quashed the conviction and ordered a re-trial based on the failure of the first instance Court to give sufficient reasoning on how it established the intent of the accused, and briefly cited a general principle that a money laundering offence is established whenever the elements are made out, irrelevant of the underlying predicate offence. Unlike Cassation Court case no. 12808 of 82, however, the Court was not asked to address whether, in the absence of proof of the predicate offence, a conviction for money laundering can be sustained. As a result, it did not offer the detailed and emphatic answer given in Cassation Court case no. 12808 of 82, which acknowledged the need to establish the predicate offence for money laundering offences and, by extension, gave effect to the express wording of the statute. In accordance with these principles, Egyptian authorities have taken active steps to bolster the CML Law and its Executive Regulations with a comprehensive Anti-Money Laundering and Counter-Terrorist Financing (‘AML/CTF’) framework. The Money Laundering Combat Unit (‘MLCU’) was established in 2002 as an independent unit functioning within the Central Bank of Egypt (‘CBE’) to principally receive, analyse and distribute STRs received from financial institutions and non-financial business and professions. The MLCU is also responsible for directing international co-operation efforts with international organisations related to AML/CTF activities and to this end has signed memoranda of understanding with its counterparts in over twenty countries. Since the implementation of the CML Law in 2002, an expansive approach has been adopted in amending the scope of its provisions. For instance, the definition of ‘funds’ under the law has been most recently amended by Presidential Decree-Law no. 36 of 2014 (‘Presidential Decree’), to include national or foreign currency, securities, commercial instruments, valuable items whether real estate or tangible or intangible property, or any rights relating thereto, and legal documents and deeds that prove ownership of these funds or interest therein in any form including digital and electronic forms. 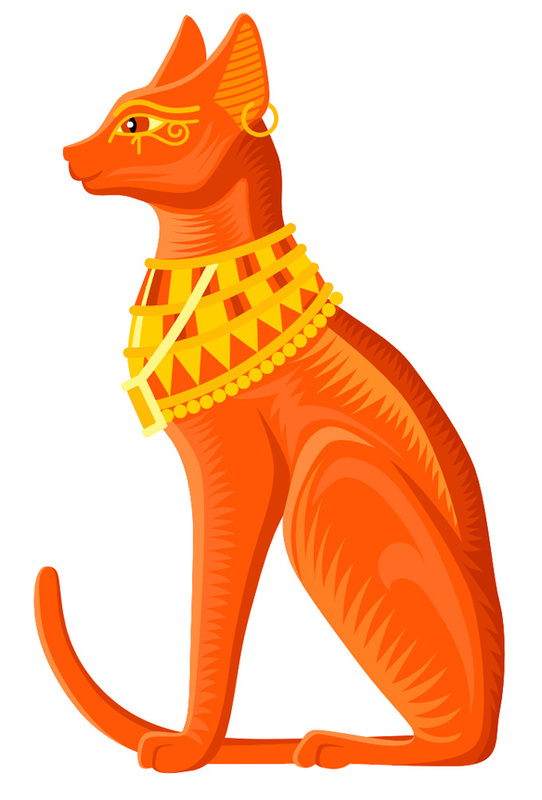 The definition of the underlying predicate offence has likewise been amended to include any act that is considered a felony or misdemeanour under Egyptian law. Further, as previously mentioned, terrorist financing was added to the scope of the CML Law by the Presidential Decree in 2014 and accordingly the MLCU has been renamed as the Money Laundering and Terrorist Financing Combating Unit to reflect its increased mandate. The CML Law stipulates that financial institutions must report to the MLCU any transactions suspected of involving the proceeds of crime or amounting to money laundering or terrorist financing, and must expend all measures necessary to prevent such transactions regardless of their value. Regulated institutions are also obligated to establish adequate compliance systems, including but not limited to customer due diligence processes, and any other preventative procedure set by the MCLU. establishment, operation or management of juristic persons as well as the sale and purchase of business entities. In an effort to ensure maximum adherence to these regulations, strict punitive measures are attached to the requirements. Failure to comply with the procedures exposes the non-financial professional or business, and the person responsible for its actual management, to either imprisonment, or a fine of EGP 100,000 – 500,000, or both, in addition to the suspension of their practising certificate. Egypt has fastidiously defended the presumption of innocence and drafted its money laundering defences to imply that predicate offences must be proven prior to prosecuting an individual for a money laundering charge.legislation to prevent such activity. By way of example, Presidential Decree no. 89 of 2017 establishing the National Council for Payments, was issued to limit the use of cash, promote the use of electronic payment mechanisms, and incentivise individuals and small businesses to enter into the banking system. Whilst not explicitly targeted at AML/CTF defences, the measures contained in this decree were introduced with the intention of limiting the flow of funds that exist outside of the traditional banking system and beyond the purview of protective regulations. Cash funds are notoriously hard to trace, so by attempting to make the banking sector more inclusive, Egyptian authorities have increased the number of transactions that are within supervisory reach. Furthermore, Egypt has demonstrated a commitment to international co-operation on money laundering and terrorist financing issues. As previously mentioned, in accordance with the provisions of the CML Law, Egypt has entered into several bilateral and multilateral treaties to implement an effective AML/CTF framework. In 2003 and 2004, respectively, Egypt approved the United Nations Convention Against Transnational Organized Crime and the United Nations Convention against Corruption, which both include limiting the illicit flow of funds as a critical element of curtailing criminal activity. From a Regional perspective, Egypt also ratified the Arab Convention for Combating Money Laundering and Terrorist Financing in 2014. To ensure the due observance of multilateral and bilateral agreements to which Egypt is a party, the National Committee for Coordination in Combating Corruption (‘National Committee’) was established by virtue of Prime Minister Decree no. 2890 of 2010. Its main function is to monitor the enforcement of the United Nations Convention against Corruption and the related multilateral and bilateral agreements, and the co-ordination with the different national agencies in this regard. The National Committee is also responsible for conducting a regular review of the relevant anti-corruption national legislation, regulations and decrees to ensure their compliance with international conventions ratified by Egypt, and strengthening international judicial co-operation concerning anti-corruption and recovery of criminal proceeds. In this vein, Egypt has entered into more than thirty bilateral judicial co-operation treaties which provide for mutual judicial assistance and extradition. The CML itself also provides for judicial assistance on the basis of the principle of reciprocity and international courtesy. By forging numerous international links, Egyptian authorities have extended their capacity to pursue criminal actors and proceeds in an extraterritorial fashion, and have likewise committed to strengthening the capacity of other countries to do the same. Egypt’s AML/CTF framework has undergone extensive change since the introduction of its primary legislation – the CML Law. 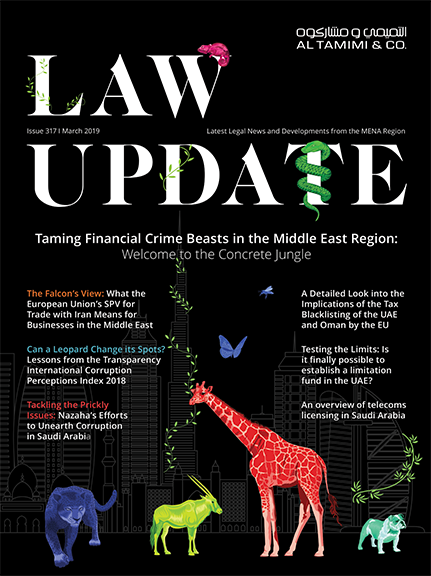 Modern amendments that have been grafted to its legislative apparatus since the CML’s implementation in 2002 have been broadly orientated towards enhancing Egypt’s integration into the international AML/CTF network, and aligning itself with multilateral initiatives to standardise AML/CTF defences. These improvements, however, have been implemented in a way so as to preserve foundational legal principles that have been reinforced by centuries of practice. Considering the strengths of the consequences brought by a conviction (including imprisonment, a fine and confiscation of twice the amount which was laundered), Egypt has fastidiously defended the presumption of innocence and drafted its money laundering defences to imply that predicate offences must be proven prior to prosecuting an individual for a money laundering charge. In so doing, it has maintained the presumption of innocence and sanctity of personal property at the core of its reasoning.